"Love produces harmony and harmony creates beauty, therefore the chief motto of life is 'Love, harmony and beauty'...By love, harmony and beauty you must turn the whole life into a single vision of Divine glory." Southern live oaks with gnarled limbs stand as forest sentinels draped in dervish robes of Spanish moss. 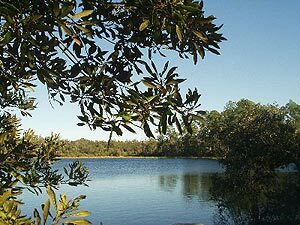 Formations of soaring grey cranes are reflected in placid heart-shaped Beauty Lake. The forest's peace is not broken, but deepened and yet elevated by voices and hearts united in song. 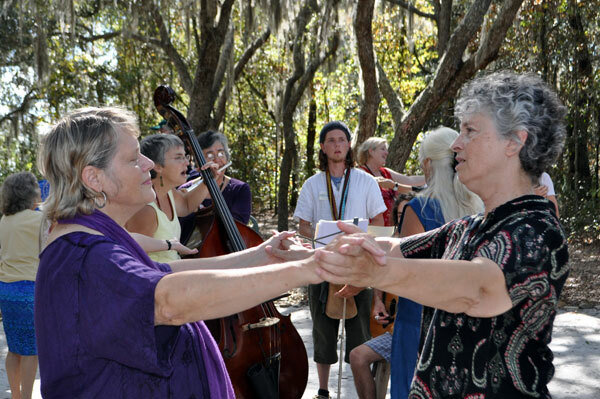 This is Dancing Peacock Paradise, an outpost of the Dances of Universal Peace, whose magnetism draws aspiring souls from all across northern Florida to its monthly dance events. 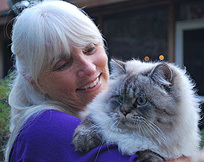 Retired educator and charismatic dance leader DiAnahita Kanoy, has transformed fifty wooded acres into a virtual paradise on earth for peacocks and other fowl, Himalayan cats, and humans alike as her dual mission of environmental stewardship and celebration of Murshid Samuel Lewis' transmission of spiritual awakening through sacred music and dance. Hear my heart song. Hear my respect. Hear my love. Hear my grateful tears fall. I am truly blessed. You are truly blessed. We are truly blessed." 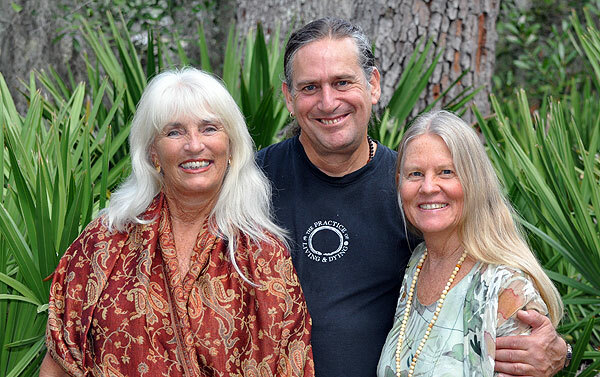 Each autumn, DiAnahita and friends host northern Florida's autumn dance retreat featuring luminaries of the Dances of Universal Peace. 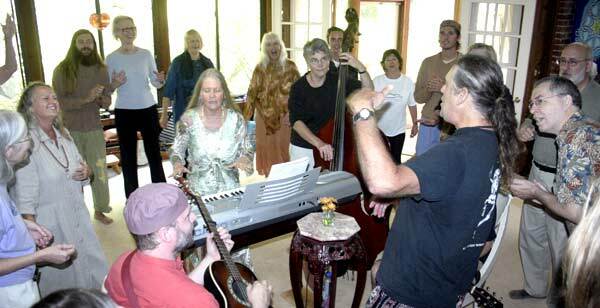 In October 2010 it was the much beloved Leilah and Bodhi Be of Maui, whose presence attracted participants--many of them dance leaders themselves--from all over Florida, and even from as far as New England and Canada. 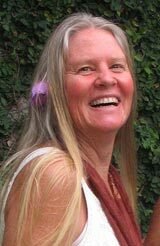 Through her deep appreciation of the power channeled through sacred phrases, music, and dance, and awareness of each person's level, Leilah communicates the reverence and joy embodied in each movement and in each phrase. 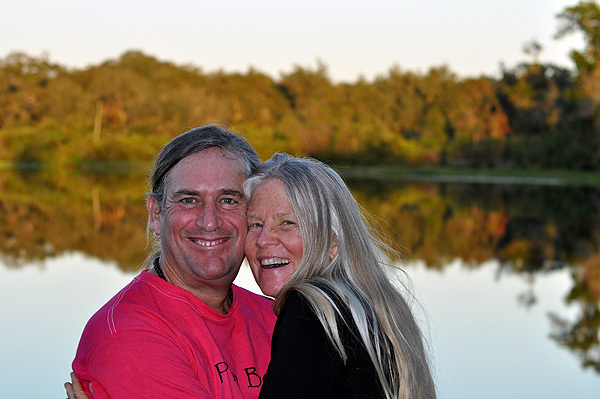 Each morning began at lakeside with exercises led by Bodhi to awaken mind and body to the currents of energetic grace flowing within and without, and to connect with Mother Nature's healing energy. 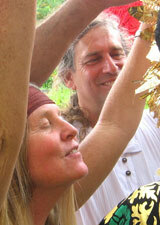 Bodhi accompanied Leilah on drum and led special sessions for drummers to attune to the rhythms of the dance, to each other, and to themselves. 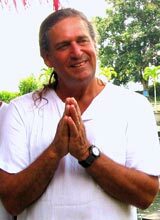 Bodhi also spoke passionately of his Doorway Into Light Project's efforts to transform the death process in the belief that death of the body is a sacred and spiritual passage. The final Saturday evening--full moon and All Hollow's Eve--brought with it a sense of relaxed celebration. At Bodhi's surprise challenge that "everyone wear a costume", everyone vanished and reemerged in a completely different persona in the first known instance of cross-dressing for a DUP event. The younger 20-somethings united in musical medleys, while Katya and others gave performance of haikus composed a day earlier. Yet, despite an air of gaiety, the theme of zikr permeated and sublimated the evening into the most uplifting Halloween in anyone's memory. The final Sunday morning's session presented itself, naturally, in the form of an old fashioned hand-clapping Southern revival meeting, with Leilah leading at the keyboard. With each day of the retreat, the dances opened the eyes and hearts of all, uniting three generations in an unforgettable experience of unity transcending all differences. We parted feeling as old friends, our hearts swelling with zest and reverence for all life, each of us looking forward with eager anticipation to the next opportunity to serve, share, and learn. "Fill my heart, Lord, with Thy love, harmony and beauty." Patrick Harrigan began Dances of Universal Peace in Ann Arbor in the mid-1970s until leaving for India in 1976. 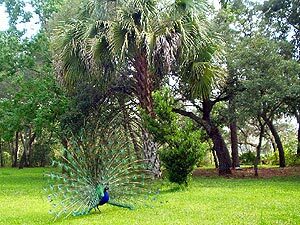 In 2009 Patrick returned to settle in Florida where he once again dances and helps to publish www.dancingpeacock.org.